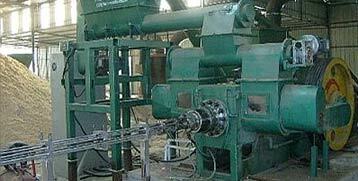 Quick lime briquette machine is used to briquette the quicklime fine to briquette for further usage. Quicklime or burnt lime, chemical name as calcium oxide (CaO), is a kind of product made from limestone. Although the mineral limestone can be directly used, the usage is very limited. 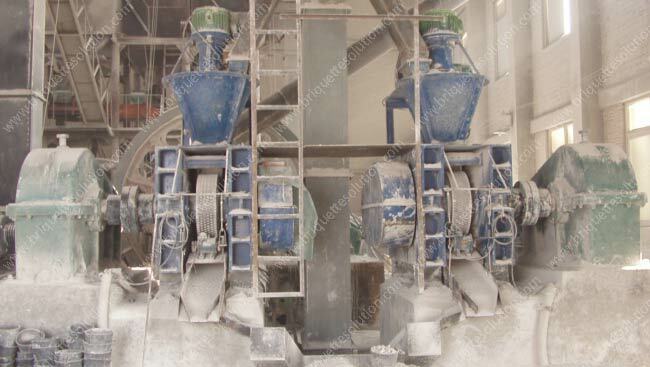 Most of the limestone directly used is in building industry, and if it is milled to the powder, the steel plant will use this as raw material for sintering. Make limestone to quikclime will highly enlarge the usage. 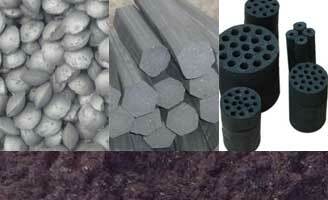 For example, the steel plant will use quicklime as slagging constituent (every ton of the steel will need this for 40-50 kgs), the calcium carbide factory will use it as raw material to produce calcium carbide (manufacture one ton calcium carbide, almost the same weight quick lime is needed), etc. 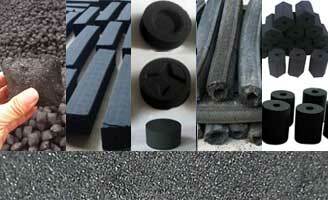 product if we make them to briquette. Save energy and reduce greenhouse gas emissions. Improve the storage house environment. Prevent lime less than 10mm going in the converter. 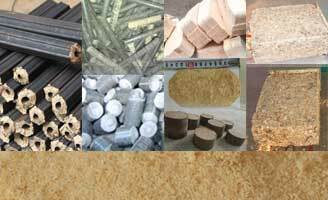 It is because of so many benefits that these dust are collected and eventually briquette and utilized. 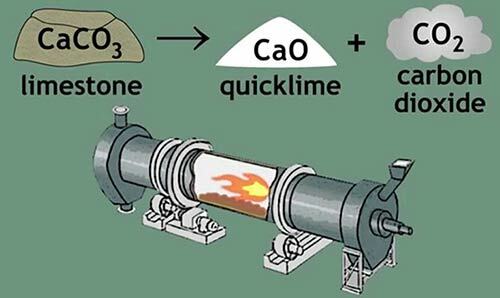 Quicklime reacts chemically with water, due to its good plasticity, we do not need to add water to the briquette and press it directly through the briquette press. 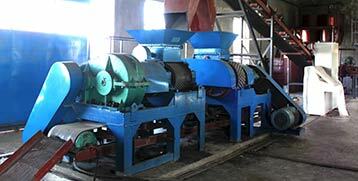 Hydraulic roller briquette press machine is the commonest lime briquetting machine ever used. After the quick lime form to briquette through the machine, it can reach a density around 1.9-2.2 g/cm3. It is a very good briquette machine to press the quicklime with a continuous work and produce briquette with high strength. The raw material is fed to the hopper of the briquette machine and fed by the pre-press force feeding screw to the mid-gap of the rollers, the double counter-rotating reverse roller then briquette the raw quicklime, in this process, the press become higher and higher when the raw quicklime press from the top to the center of the rollers, and it reaches the maximum pressure at the center, after the that, the pressure then becomes lower and lower until the briquette comes out from the rollers. In order to make use of the quicklime, the produced quicklime will go through a screen and leave the tiny ones. The size left behind normally is less than 5mm. The dust full of quicklime from the dust collector is less than 1mm. To make these two small particle quicklime to briquette and also ensure the briquette quality, A rate for these materials is then chosen. Well distributed particles sizes will make the briquette with better quality. 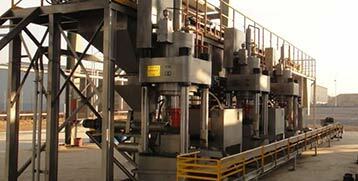 The briquette process follows a way rapid and easy. In order to prevent the dust pollution, especially transport the quicklime from the dust collector, using pneumatic conveyor is best conveying way can be ever chosen. 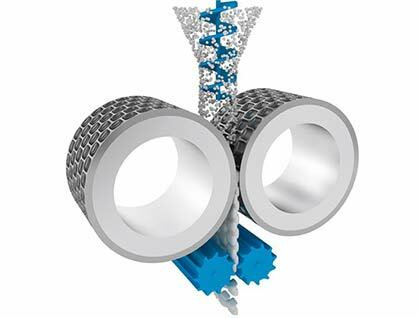 The gap between rollers is adjustable, extend the rollers’ service life without degrading the product quality.